Below are answers to some of the most common questions we get from homeowners about concrete crack repair. NexusPro is cost-effective because it offers a solution that is long-lasting, unlike the urethane-based products available at big-box DIY stores that must be replaced regularly. Yes. Because it is silicone-based, not urethane-based, NexusPro won't degrade over time, even when exposed to UV radiation and extreme temperatures. This ensures that it remains flexible and waterproof for years. Can NexusPro work with concrete lifted with PolyLevel? Yes. In fact, we recommend that our PolyLevel customers seal the cracks and joints of their newly lifted concrete with our NexusPro solution, as it will help protect their concrete for many years to come. Can I get NexusPro from another contractor? No. 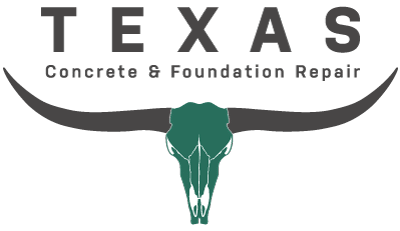 NexusPro is a proprietary product developed by Supportworks and is available exclusively from Texas Concrete & Foundation Repair and other concrete repair contractors in the Supportworks network. I want to seal my concrete joints and cracks. What's the next step? Call 1-844-790-2123 or click for an appointment. One of our design specialists will come to your home and inspect your concrete. He or she will then sit down with you and explain what caused your issues, how they can be fixed and exactly what it will cost.